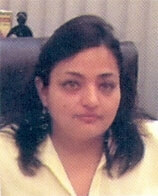 IVF is the revolutionary procedure that mimics the natural conception process but outside the body. This method can bring happiness on the faces of childless couples who are suffering due to male or female infertility problem. It is the lab procedure in which female eggs are retrieved from the ovaries and mixed with the male sperms for successful fertilization in the cultured dish in the controlled conditions of lab. Male sperms and healthy female eggs are kept in cultured for 2-3 days and after the fertilization of eggs when they get turned into embryos. Then IVF specialists of IVF center in Patiala choose the healthiest embryos among all and transfer in the womb of intended mother for successful pregnancy. This treatment can give benefit to women with age of 40s however the women with high quality eggs, donor eggs can conceive in the later age also. 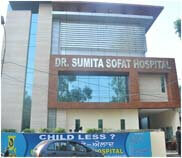 For more details contact the Sofat test tube baby center Patiala.